With November here, we are officially less than two months away from Christmas, my favourite time of the year for many many reasons. And today I am super happy and excited as I won Beata's birthday giveaway, over at Tigirlily Konadicures. 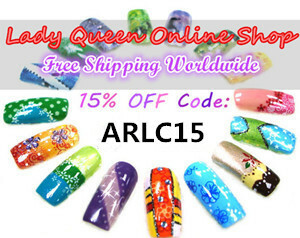 Thank you so much Beata ヽ(^◇^*)/ ﾜｰｲ and everyone, make sure to pop by and check her fabulous blog. On more giveaway news I have noticed that I passed 400 followers so I am going to prepare a XMasy 400 follower giveaway to celebrate. I am currently deciding on what to include so if you have any suggestions feel free to comment and let me know. It is the super sparkly and fabulous crackle holographic mani of awesomeness. 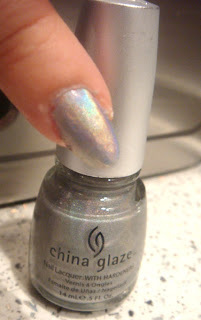 After applying a coat of NfuOh aqua base coat I used China Glaze OMG and BFF from the OMG holographic series. Already my nails were looking fabulous. 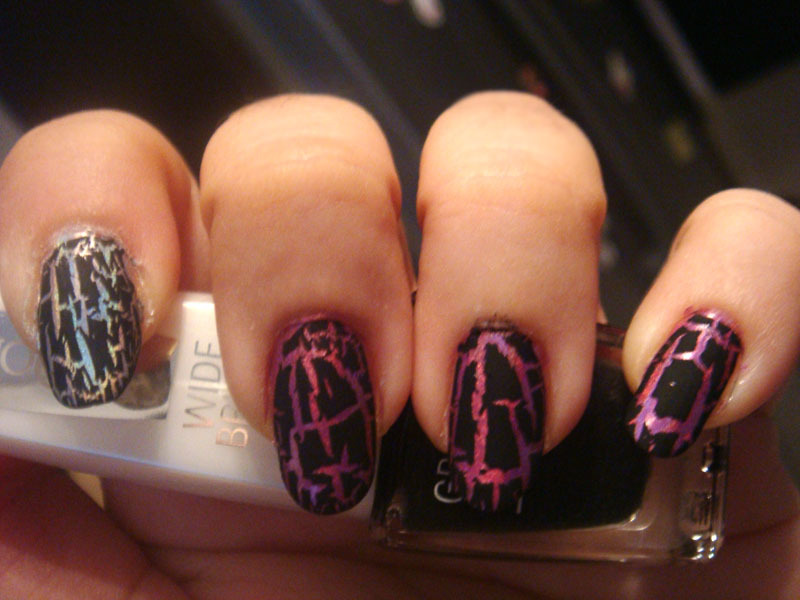 But I wanted to try my newly acquired Isadora crackle polishes so I applied a coat of Isadora Graffiti nail top in black tag and a coat of Seche top coat and voila! Can you see all the pretty colours? I am very pleased with this manicure. I keep getting compliments and I can't stop looking at it. Also the fact that it lasted so long is definitely an added bonus. In the end the experiment was successful. Holos look fabulous with crackle polishes too. Wow, I love this! I bet it looks even more amazing in person, with all the holo-ness peeking out from the black. Awesome idea girl! 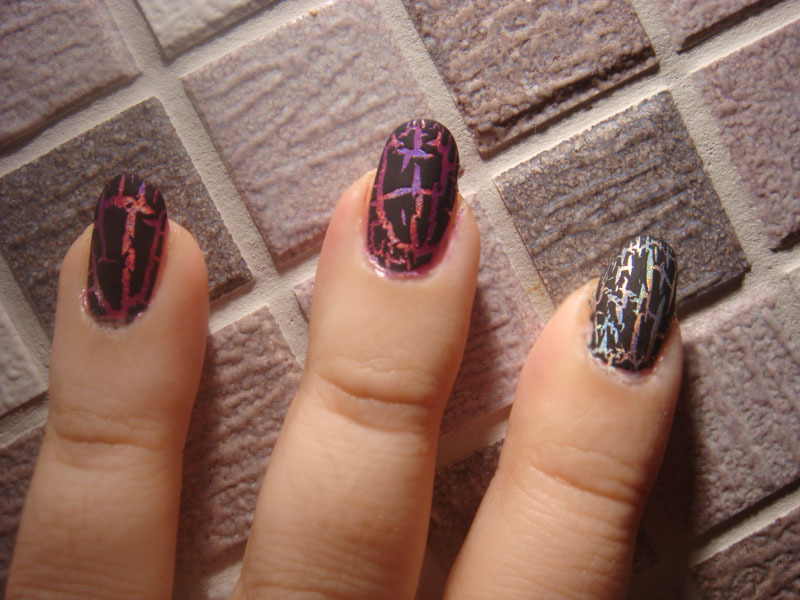 this soo makes me want crackle polish all the more. 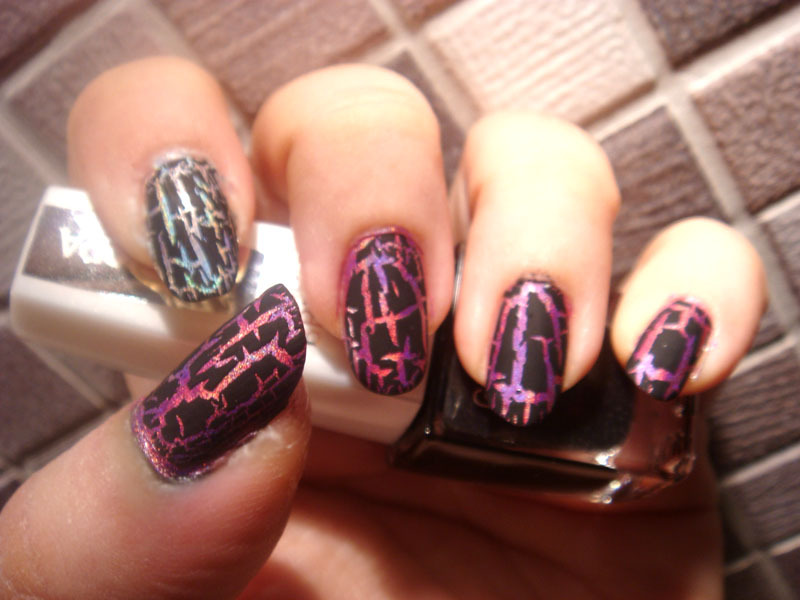 I keep seeing all these amazing crackle mani's and I wants wants wants. Freshie I had the same problem with BYS even with Seche. But the Isadora one proved more durable. I will try to secure a bottle for my upcoming giveaway. OMGAH, yes this is seriously AMAZING! 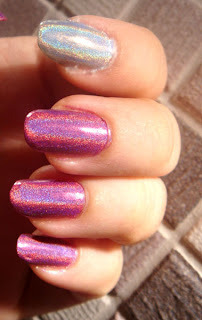 First time I've seen someone use a crackle top coat on holo nail polish. I need to try that manicure! It looks amazing! ^_^ thank you so much ladies for your kind comments. I never expected this manicure would turn out so pretty. I finally removed it yesterday after having it on for 9 days and apart from a bit of chipping on my right thumb it was still in perfect condition. I am impressed. I love the isadora crackles, so pretty! the holographics with the shattered top is sooo awesome! 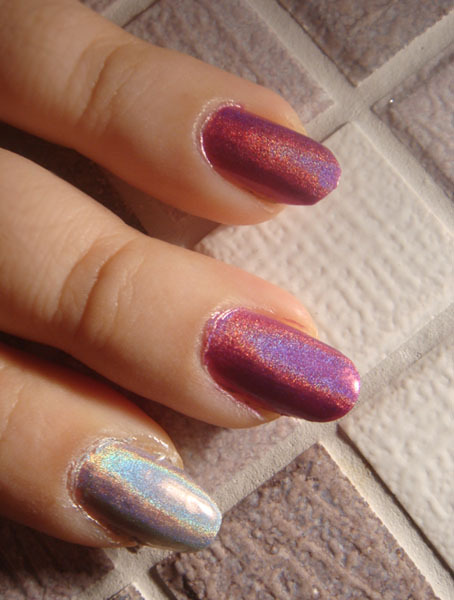 i need to do that look, i have the silvery holo...need that pink, it's gorgeous!